I’ve got a soft spot for solid singers, I’ve got an even softer spot for solid singers who can actually compose music. That’s kind of why I enjoy ZAQ as an artist. 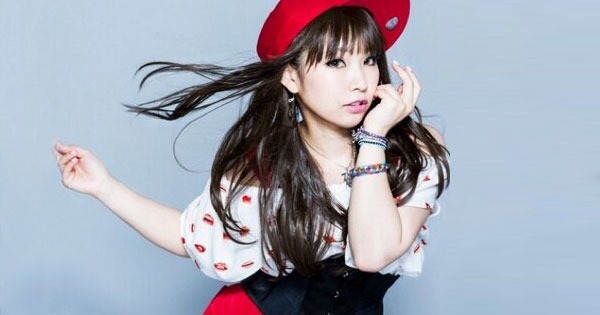 When she got a chance to perform her first single, “Sparkling Daydream” for Chuunibyou demo Koi ga Shitai!, she went out of her way to compose the song and write the lyrics. Mad props! Since then, she’s gone on to do other works like “Alteration” from Sasami-san@Ganbaranai, and, lately, performing Wareru “Doukoku” for Concrete Revolutio ~ Superhuman Phantasmagoria and penning a song for Luna Haruna titled “Ripple Effect” for High School Fleet. Needless to say, ZAQ is pretty talented. With all that anime work she’s gotten lately, it was a matter of time before she’d be making appearances at anime conventions. And so, in June, ZAQ will be making an appearance at AnimeNEXT in Atlantic City, New Jersey as the convention’s first musical guest. On top of that, it’ll be her first North American appearance, giving her an opportunity to show US anime fans what she’s capable of on the performance, but hopefully the compositional aspects of anime pop music as well. Unfortunately, East Coast conventions are still a thing I haven’t been able to make time for. But I’d be interested to hear what comes out of her concert and panel. Especially because I don’t really know a lot about her beyond the fact that she’s gotten a lot of anime work as of late, which means she’s gotta be doing something right. Or maybe that’s just with Kyoto Animation? The Southern California anime convention known as AM2 continues to roll out its guest list and the next addition to their concert highlights is none other than the visual-kei band, SADIE. SADIE, composed of Mao on Vocals, Mizuki on Guitar, Tsurugi also on Guitar, Aki on Bass Guitar, and Kei on drums. As with most visual-kei bands, the emphasis is all in the artistry of the performance and the rock sound. For the purpose of currying interest with anime fans, they have not yet done any music for anime, so this concert should strictly be for those curious about visual-kei or fans who enjoy SADIE’s rock sound and elaborate showmanship.